Looking for a challenging Sudoku puzzle, but not sure what to look for? 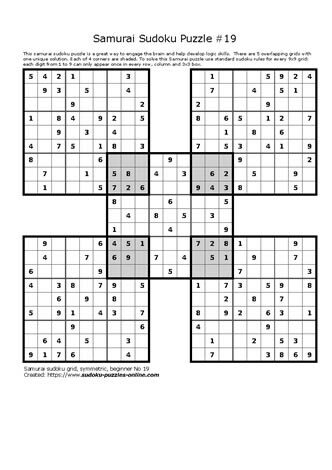 Discover an extreme form of Sudoku puzzles, often referred to as Samurai Sudoku puzzles. These brain teasers are a series of 5 interconnected 9x9 Sudoku grids that use logic and Sudoku's basic rules to solve for one unique solution.